Bradley Wiggins believes a victory in tomorrow’s world championships time trial in Florence will confirm him as one of the greats of the discipline. Buoyed by his dominant win in last week’s Tour of Britain stage against the clock at Knowsley Safari Park, Wiggins goes into tomorrow’s race among the favourites for the victory. The 33-year-old has previously won six world titles on the track – the last of which came in 2008 – but has yet to win a rainbow jersey in the road events. However, he triumphed in the time trial at London 2012, and admitted a victory in Florence would compliment his gold medal from last summer. “It would be nice to win a world time trial to add that to the Olympic title and go down as somebody who was a good time triallist, not just somebody who won the odd time trial through misfortune or whatever,” he said. 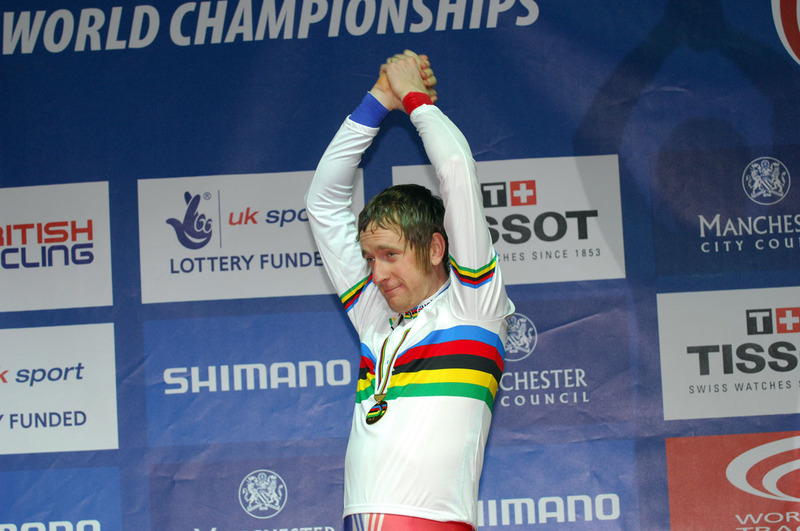 The Madison title Wiggins took with Mark Cavendish at the 2008 worlds is the only one of his six rainbow jerseys not to be won in a timed event, and the Sky rider admitted he likes the reliance on individual performance over tactics in time trials. His best performance in the event was second in Copenhagen two years ago, and if Wiggins is to become the first Briton to take the rainbow jersey since David Millar’s short-lived reign in 2003, he knows he will have to beat four-time champion Fabian Cancellara and the incumbent Tony Martin. “On paper, barring any surprises, there are probably three of us in it,” Wiggins said. “I’ve known Fabian since I was a junior. He won the junior worlds in 1998 in Valkenburg, I was 16th. We both turned pro together – with different teams – and started winning straight away while I jittered along for a few years right to the point where I started improving. Martin has taken the world title in the discipline for the past two years, but having put 42 seconds into the German on a largely flat 44-kilometre course around Hampton Court at London 2012, Wiggins believes the German beatable on similar terrain once again in Italy. “I remember him as a neo-pro at Highroad. At the time he was fat, he didn’t know about cycling, he didn’t care about cycling and he told Lance Armstrong to get f****d once in the Tour in 2010. Lance couldn’t believe it. “He had no knowledge of the history of cycling – he was studying to be a policeman at the time – and they let him have leave so he could concentrate on his cycling, and then he just went through the roof. Wiggins spoke to the media – including Cycling Weekly – last Tuesday, when his odds of victory were priced at 7/2. If he could, would he back himself? “Yeah, I would do, yeah,” he confidently replied.